Nearly every job today requires you to write. Whether you’re composing emails, memos, meeting notes, letters, proposals, or reports, writing well matters. Clear, concise writing helps workplace communication and saves everybody time. 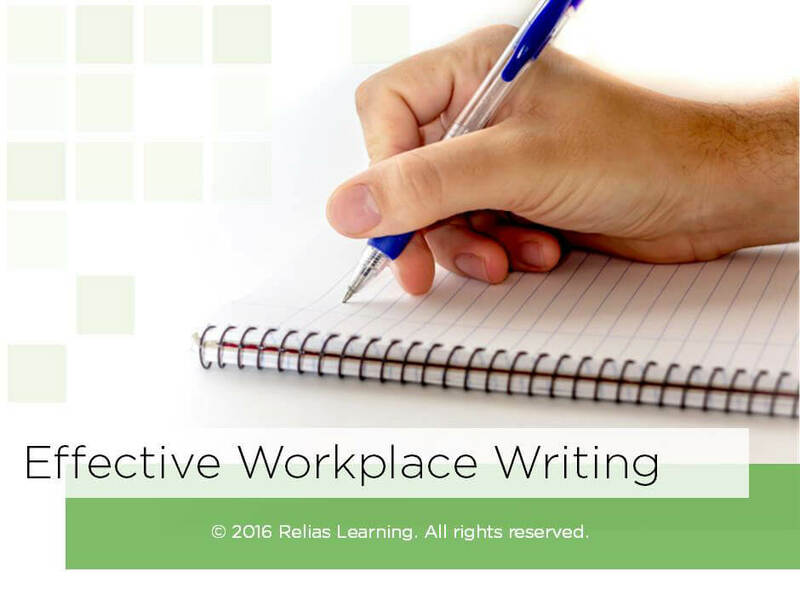 In this course, you’ll learn best practices that apply to all forms of professional writing. You’ll learn how to organize information, clearly state your purpose, and avoid common errors. Recognize examples of strong and weak professional writing. List steps to organize and clarify purpose. Identify and correct common writing mistakes. Section 1: Introduction A. About This Course B. Learning Objectives Section 2: Professional Writing Standards A. Tone B. Communicate a Purpose C. Keep it Relevant. Keep it Brief D. Review Section 3: Common Writing Mistakes A. Misspelled Words B. Misused Words C. Incorrect Punctuation D. Don’t Write How You Text (LOL) E. Review Section 4: Writing professional emails A. Email Communication: How and When? B. Subject Headers and Formatting C. Salutations D. Frequency and Response Time E. Review Section 5: Conclusion A. Summary B. Course Contributors C. References D. Resources E. Congratulations! Susan Fee is a therapist, author, and national trainer. She delivers training to individuals and corporations on communication skills, conflict resolution, resiliency, motivation, and presentation skills as well as providing voice-overs for audiobooks, training videos and commercials. She’s the author of numerous magazine articles and books including, 101 Ways to Make Your Message Stick, 101 ideas & Insights About Resolving Conflict, The Manager’s Motivation Handbook, Circle of F.R.I.E.N.D.S. Facilitator’s Guide, and the college survival guide, My Roommate is Driving Me Crazy! Learn more by visiting www.susanfee.com. Disclosure: Susan Fee, M.Ed., LPCC has declared that no conflict of interest, Relevant Financial Relationship or Relevant Non-Financial Relationship exists.